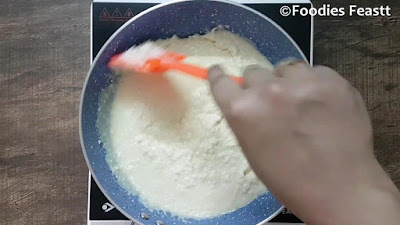 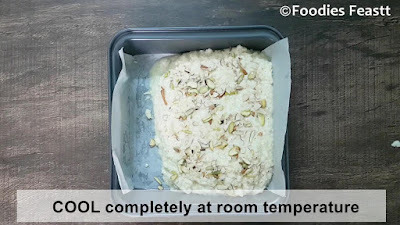 Instant kalakand recipe / how to make instant kalakand / step by step images of instant kalakand / recipe video of instant kalakand. 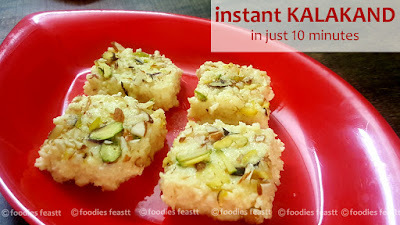 Instant kalakand is one of the easy recipes of sweets which can be made instantly. 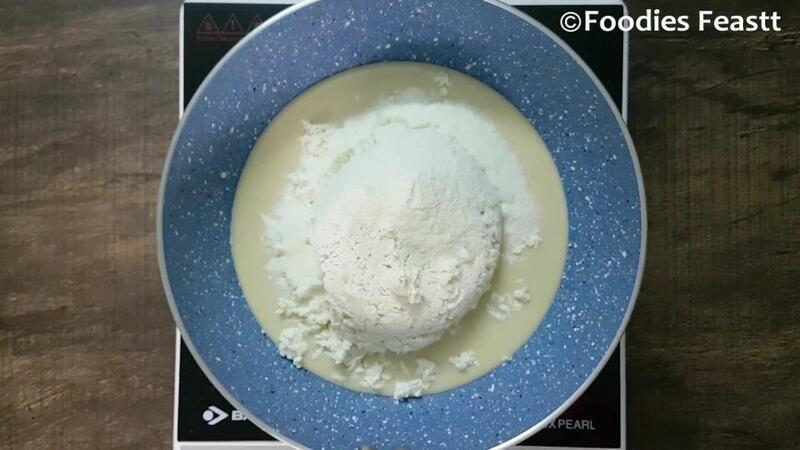 Instant kalakand recipe calls for just 3 main ingredients paneer, milkmaid and milk powder. While using paneer I would suggest you to use fresh paneer and also it should not have water in it. Else the kalakand would taste sour and leave water. Secondly, after mixing all the ingredients check for sugar, if u need add some, for me the sweetness of milkmaid was sufficient so I didn’t add any. 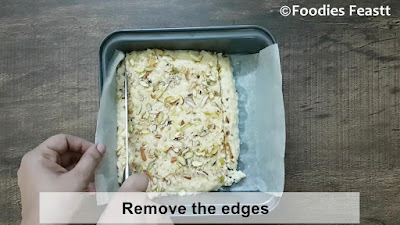 Other points to be considered are mentioned in the tips section below the method. 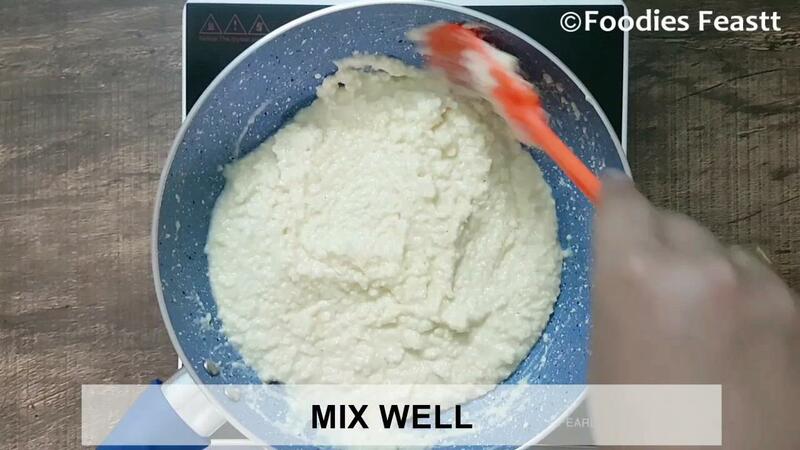 Add milkmaid, paneer (cottage cheese), milkpowder and mix well. 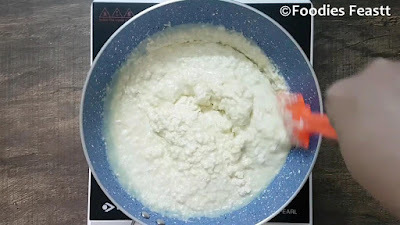 Keep on stirring continuously on medium flame. 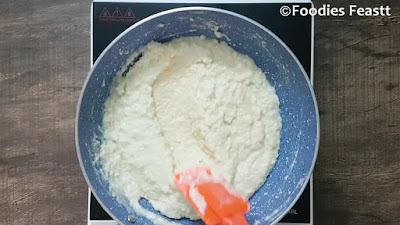 The mixture would start to thicken. 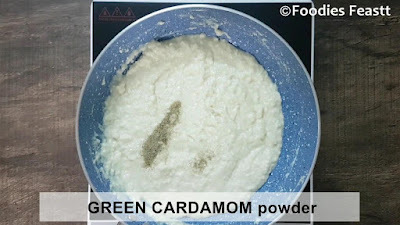 At this time add in the cardamom powder. 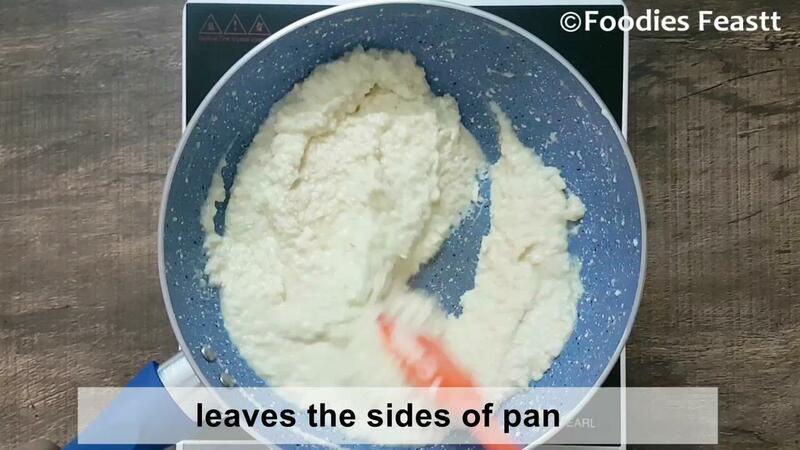 Now the mixture would start to leave the edges of the pan. 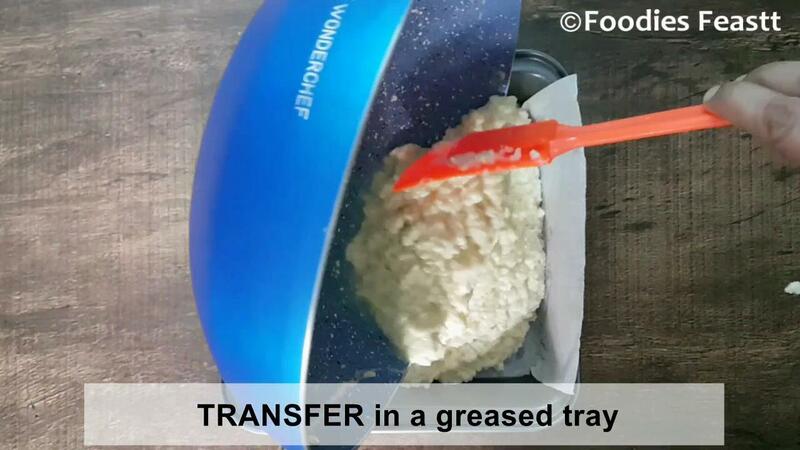 Transfer the mixture into a greased tray and level it with the help of a spatula. 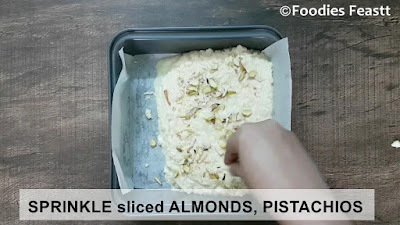 Sprinkle the sliced dry fruits all over. 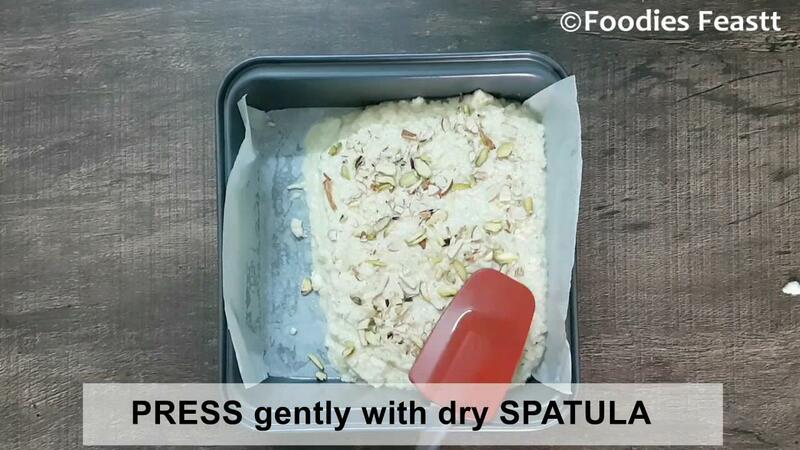 Gently press the dry fruits with a dry spatula. Use a dry spatula else the dry fruits would stick to the spatula. If you have used a proper square tin then no need of cutting the edges. 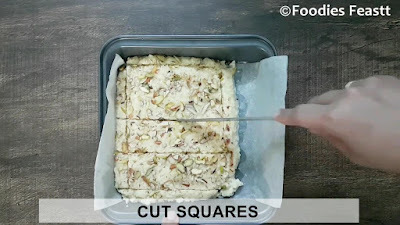 If u used like mine then remove the edges and with a knife cut it into squares. 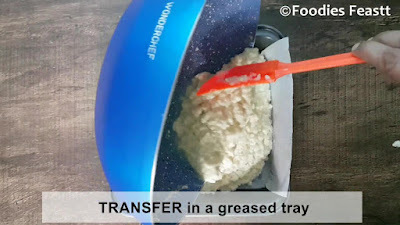 Grease the knife before cutting. The instant kalakand is ready to serve. Keep the heat low to medium throughout to avoid burning. Use fresh paneer and it should not have water in it. Use dry fruits of your choice. 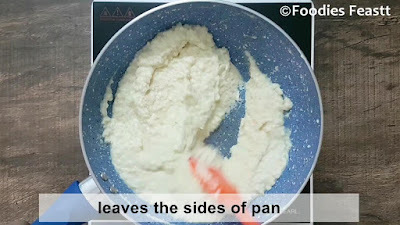 The time mentioned may vary depending on the thickness of the pan and the heat used. 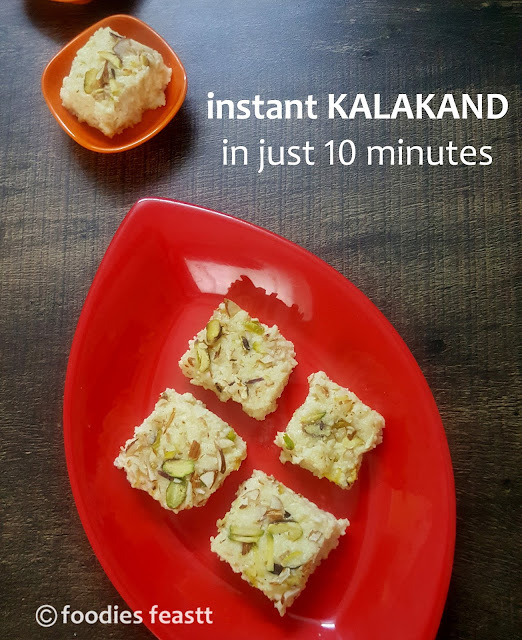 Make this very delicious, mouth melting instant kalakand on any occasion or even without any occasion for your family and friends and write it your experiences to us via comments.